Water can be one of the most important factors when trying to brew quality beer. This is because the effect various ions can have on starch degrading enzymes in malt. This is really only a concern when involved in all-grain and partial mash brewing. Malt extract brewers don't need to worry about this because the manufacturer of the malt takes this into account during the production of the extract. This is not to say that extract brewers don't need to worry about water chemistry because they absolutely do. Though it is more important to like the taste of your water with extract brewing. The quickest way to get poor tasting beer is to start off with poor tasting water. Water hardness as a scale was created a long time ago when people started using soap. Soaps ability to later is directly affected by its mineral content. Typically, high mineral content makes it difficult or "HARD" to lather soap. Inversley soap with with low mineral content is easy to lather, soft is the opposite of hard so they went with that. My guess why they went this way is because "easy water" sounds dirty. I don't know why it just does. When brewing there are tho types of hardness to be concerned with temporary and permanent hardness. Temporary hardness is a measure of bicarobonates in water [2(HCO3)]. This hardness that bicarbonate ions add is called such because when boiled they are precipitated (made solid) and removed from the water. Permanent hardness is a a measure of magnesium and calcium ions in the water, both of which will remain after boiled. Permanent hardness can be adjusted for if its ranges are outside of the norm. If I started this sentence with pH would I have to capitalize the p? The acidity and alkalinity of a liquid is measured in pH on a scale from 0 to 14 with 0 being the most acidic and 14 being the most alkaline. In all grain brewing, enzyme conversion occurs best with a pH of 5.2 (Acidic) this can be attained with the addition of Calcium Sulfate (CaSO4) commonly known as gypsum. Half of the chemical makeup of common table salt this ion contributes to body and full mouth feel. The overuse of sodumn in water treatements will give a seawater taste to the end product. Generally levels of between 10 and 70 ppm are good for brew water. The most important chemical in "permanent hardness" this element helps lower pH and facilitates precipitation of proteins during boiling. Most beers should be maintained around 100 ppm any higher will create a harsh bitter taste. While second to calcium for effectively lowering pH, Sulfates take the gold for influencing hop extraction and bringing out sharp bitterness. The amount of sulfates suggested will vary depending on your beer style. Magnesium is primarily a yeast nutrient that should be maintained around 20-30 ppm. 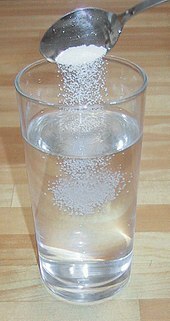 The addition of Epsom salts can raise Magnesium levels in water. However many experts advise against it because high Magnesium levels can lead to a dry, astringent bitterness in your final product. As you can see different brewing cities around the world have very different water hardness and softness. This water hardness can change the taste of your beer a lot. When I toured the Deschutes Brewery, the tour guide explained that they put gypsum in their water so that it will taste like water from some town in England. Unfortunately, I didn't think to ask which town. Hopefully this has been a good insight into water and how it affects the brewing process. I think calling it Easy water would be better. Water is a ho anyone can get it; except the middle east most of the time. They have to get if from the fat ugly water that you have to get checked for STDs after.